It's "Where Are They Now? Wednesday" again and continuing on from my last post, I'd like to give a bit of insight on where the company that developed Bubble Bobble is nowadays, namely Taito. 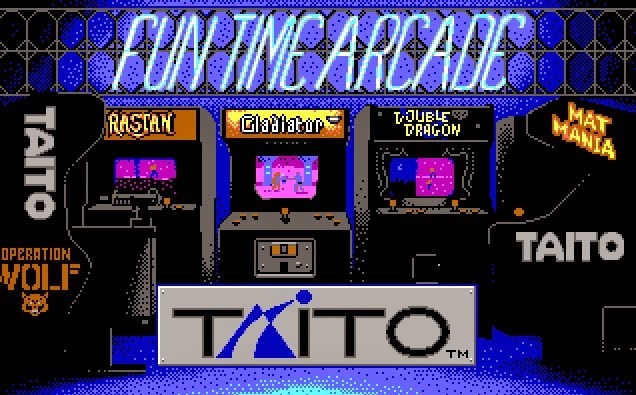 Taito, like a lot of large Japanese game companies, started off as businesses usually unrelated to video gaming. In 1953, the Taito Trading Company was established and it was involved in the selling of imported sundry goods. It was the first firm in Japan to distil and market vodka before it eventually moved on to the manufacture of vending machines. In 1956, they had the honour of being the first company to develop a jukebox entirely produced in Japan. It wasn't long before they were building what they're arguably most well known for: arcade machines. In 1978, they released the extremely popular Space Invaders. Other notable games that Taito would go on to develop include Qix (1981), Bubble Bobble (1986) and Chase H.Q. (1988). In 2006, Taito became a wholly-owned subsidiary of Square Enix and they still develop games to this day, mainly targeted at the Japanese market. One of their most recent PC games was Puzzle Bobble Online released in 2011. Taito Where are they now?